In view of the overwhelming response, DiJAI has closed the registration for the workshop to be held on 2nd April 2016. Individual communication has been sent to the eligible nominations. 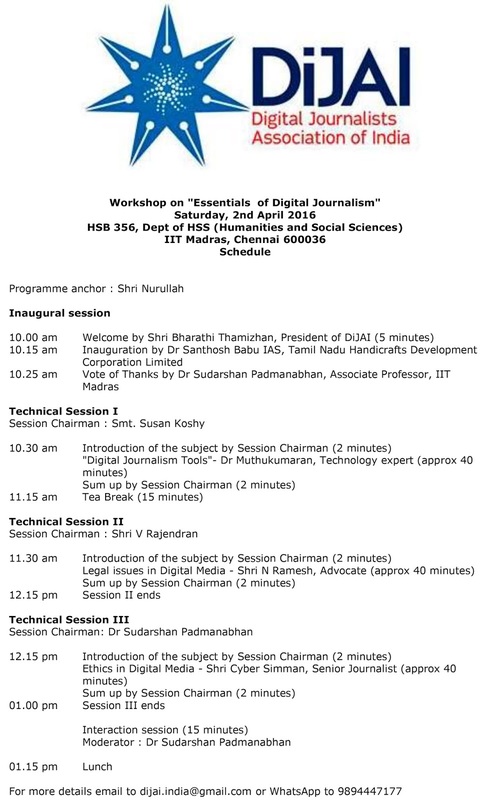 DiJAI has given priority to working professionals and Faculty members of digital journalism courses. Please keep visiting this site for updates.